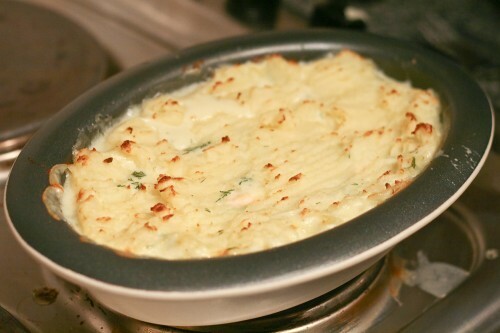 At the weekend my Uncle cooked a buffet of fish pie, chilli, haggis (the real stuff) and stir fry for my Grans birthday. 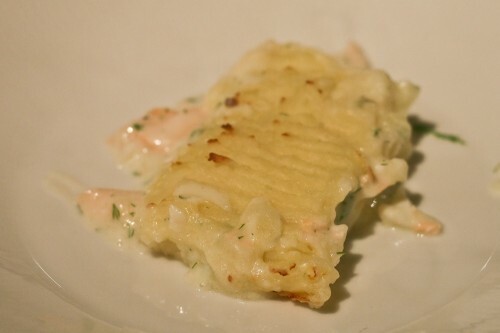 The fish pie was lovely and Elodie had a mouthful too so last night I set about making my own, but under orders from Anthony, it was to contain NO prawns. I shouldn’t complain though as he is a reasonably new convert to fish.